In true FlowerMate tradition, the Aura vaporizer combines high tech features and astounding portable performance at an amazing price. 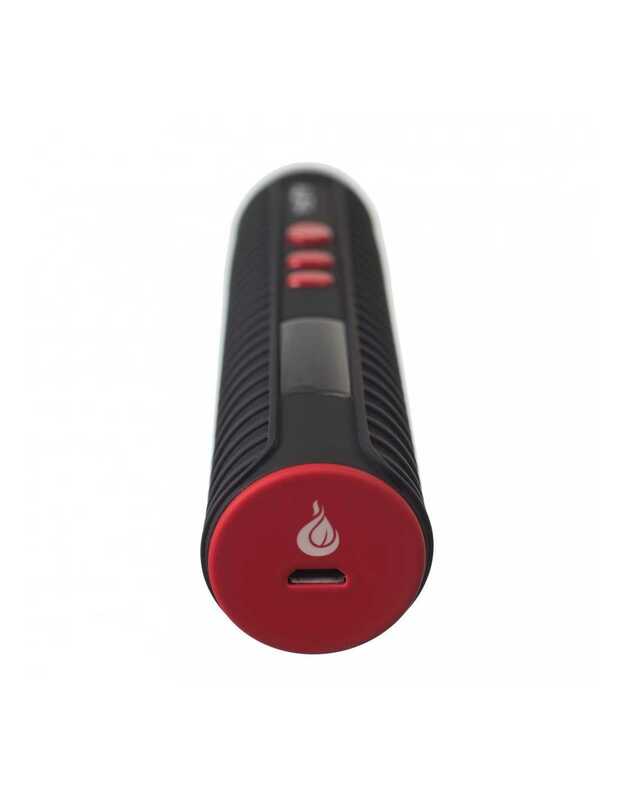 The ideal pen vaporizer for those on a tight budget as well as for the vaporizer enthusiasts looking for a highly versatile pen vape. Set your Aura to exactly the right setting. 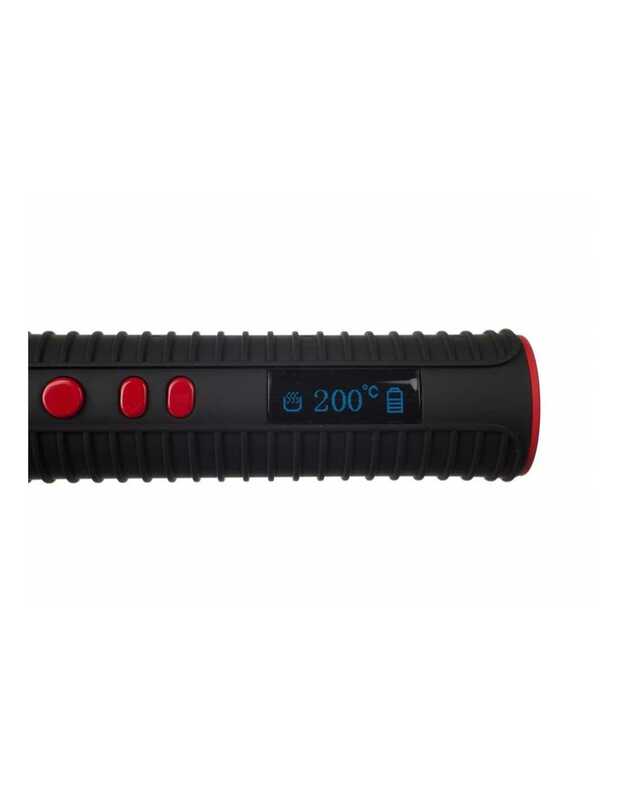 The digital display and buttons allow for a fully customizable temperature setting between 40°C to 230°C in increments of one degree. She heats up in less than a minute. 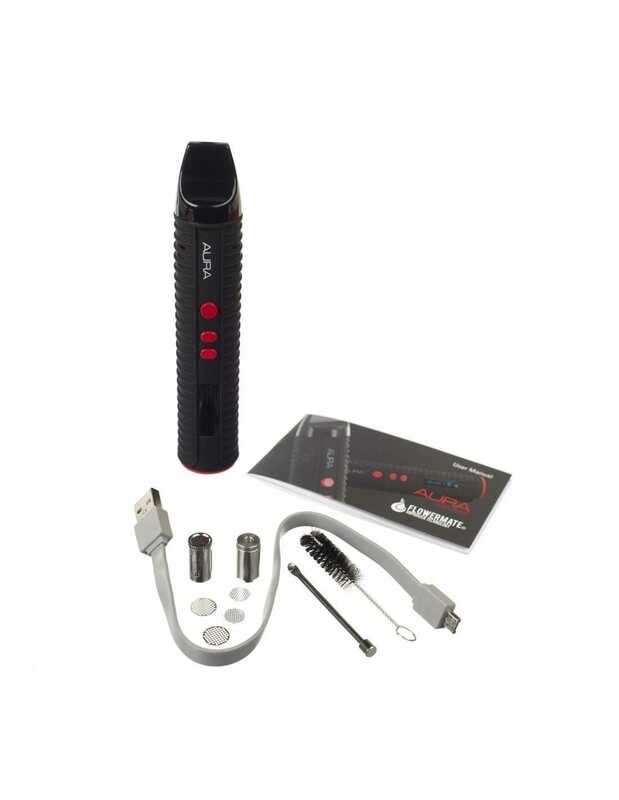 This pen vaporizer is an astonishing all-in-one deal, including everything you need to vape dry herbs, waxy concentrates or oils. Following numerous FlowerMate vaporizer releases, manufacturer Smiss has taken another look at the herb chamber and improved it. 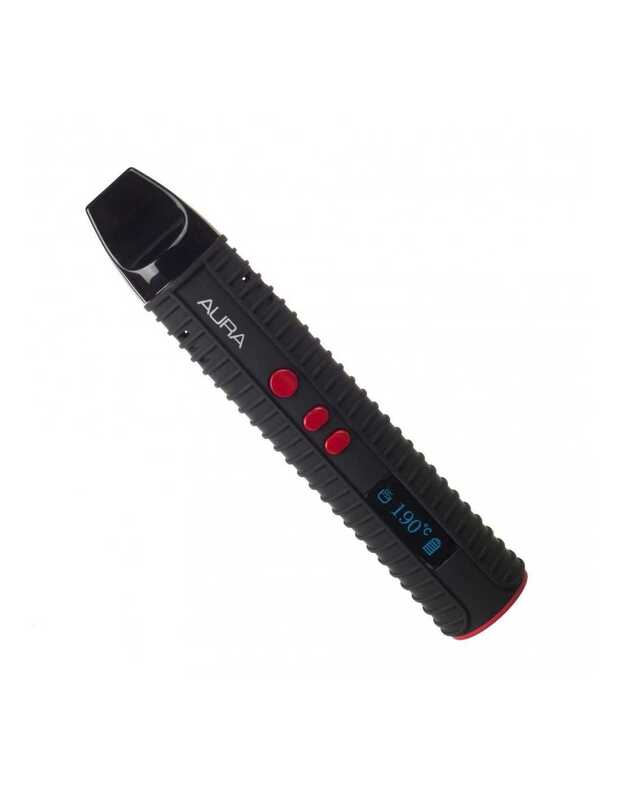 The Aura's ceramic chamber is heated evenly with seven heat jets and with improved airflow, for thick and tasty vapour clouds. What's more, the air path isolated, for pure and untainted vapour from the very first hit to the last. Tuned for efficient vaporisation, the Aura's internal 2600 mAh battery lasts for two hours. To charge her up, just plug it into any USB compatible device!